Join your Quilts and Lace friends on Harmony of the Seas for a beautiful 7-night cruise to the Western Caribbean. From our very own Port Canaveral, we will sail to Labadee, San Juan, and St. Maarten! Throughout the cruise, we will be sewing, embroidering, and using the ScanNCut cutting machine. 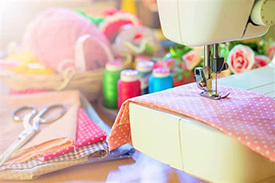 In addition to fun sewing gatherings hosted by Aira and Beth, get ready for some amazing training sessions with Joanne Banko from "It's Sew Easy"! Pricing includes cruise fare and port taxes. Based on double occupancy (2 guests per cabin). A deposit of $500 per cabin will be due at the time of booking. 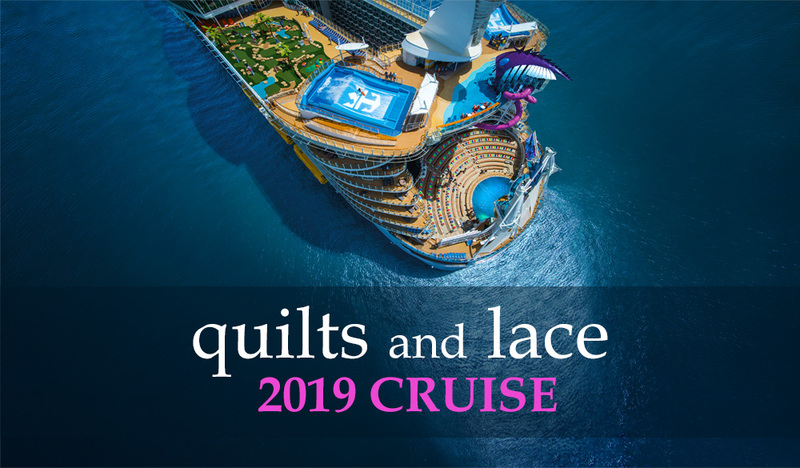 This will include entry to private events, specialty quilting instruction, expert sessions by Joanne Banko, and other exclusive Quilts and Lace activities. This fee is only applicable to quilting participants. Friends and family who are traveling as guests are exempt from this fee. in these exclusive "Quilt & Lace” activities and events. TO BOOK, PLEASE REGISTER BELOW! What do you get when you combine the world’s biggest ship with the boldest thrills ever to set sail? A gravity defying, status-quo denying, electrifying expedition onboard Harmony of the Seas. It’s all new first-at-sea feats, plus all the favorites - turned up a big bold notch to give you the best adventure ever. Get ready for fun daily sewing parties with your favorite instructors from Quilt & Lace! Our private onboard venues will be reserved exclusively for Quilt & Lace special instructional events. Sew, embroider, and use the ScanNCut machine onboard! Calling all film aficionados, Broadway buffs, and every fan in between: get ready to travel from the world-revered theaters of Broadway to the star-studded studios of Hollywood as we bring you the greatest musicals to ever go from the Stage to Screen. Sweeping, multi-level ambience, world-class cuisine and the most attentive staff at sea. 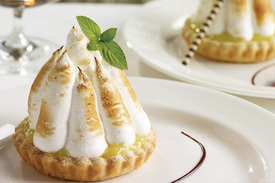 The main dining room serves exceptional, multi-course meals for breakfast, lunch and dinner. Enjoy a new dinner menu each evening in an elegant setting, with extraordinary personal service from your dedicated wait staff. 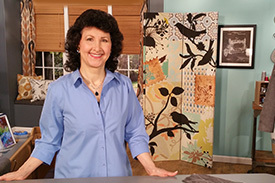 As seen on "It's Sew Easy" TV, Joanne Banko is a leading sewing educator and online instructor. Joanne completed her dressmaking and pattern making course at Progressive Fashion School in Cleveland, Ohio. During the cruise, learn directly from Joanne all kinds of tips and tricks from our star expert! Questions about the cruise? Call Go Travel today to learn more. Questions for the team at Quilts and Lace? Give them a call! Visit GoTravel.com/quilt for more details.